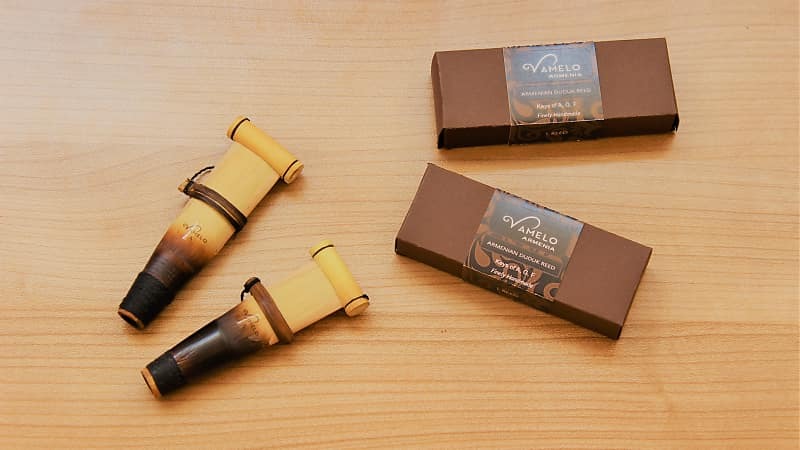 Premium reeds that offers rich, warm tones, a heavy spine that promotes dynamic flexibility, exceptional tone quality in all registers, a long vamp profile that produces consistency of response, and a traditional tip thickness for ease of articulation. Sophisticated processing of high quality raw materials. Each reed is analyzed, classified, and selected according to their quality, color, weight and age for later setting. Keen vision and steady hands are essential to this painstaking process in the creation of the piece. Vamelo is happy to be careful about your health. 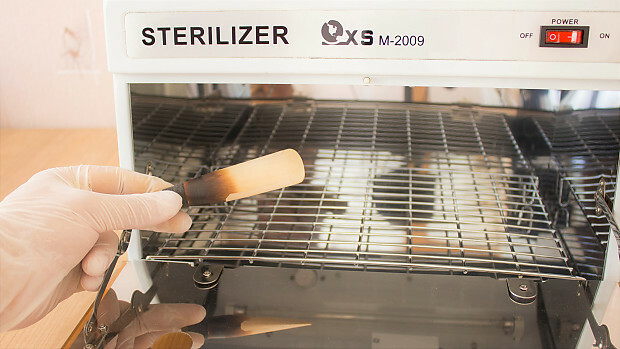 After inspecting the quality, the reeds are carefully sterilized in the UV sterilizing machine for preventing mold and bacteria growth. After placing an order, contact us which key you want us to ship. 1.Products returned must be in their unused, original condition with all VAMELO product tags attached and any related accessories or instruction booklets included. 2.Incomplete, damaged, worn or altered returns or anything we reasonably believe has been used will not be accepted and therefore sent back to the customer. 3.Products must be returned in their original shipping box. For your security we suggest you use a trackable and insured shipping service, as we are not responsible for the loss or damage of the returned packages. Please note that all returns and exchanges are subject to a quality assurance process before they are accepted. If your return does not meet the conditions listed above, it cannot be accepted and will be returned to you at your own cost. After we receive your returned products and verify that all of the requirements have been met, you will receive a confirmation e-mail. Refunds are processed within approximately 3 business days of our receipt of your merchandise and will be credited back to the same card used to place the original order. Please be aware that some card issues make take longer to reallocate funds, which is beyond our control. If you are exchanging a product and the value of the new item is less than of the one you are returning, we will refund the difference via your original payment method. If exchanging goods and the value of the new item is greater than of the one you are returning, additional payment will be required.